This mount is adjustable in all angles covering its length width and depth. The width can be adjusted through basic expansion, but arms can be unattached with and easy lock slot mechanic and can adjust to three separate levels meaning the side of your deice can be gripped were you find most comfortable. Even the grip handles can be adjusted with a pop slot allowing for perfect depth and ultimate customization of your devices hold. 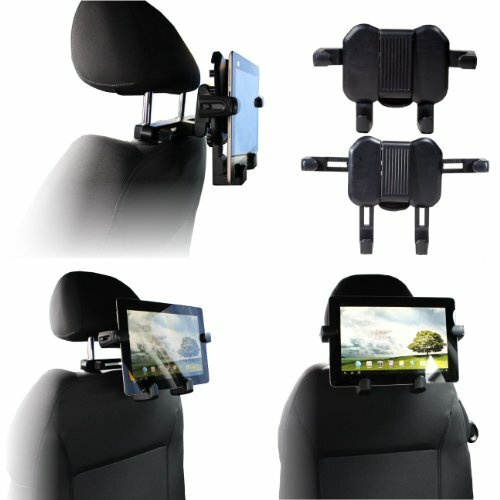 This mount is expandable and can hold devices at minimum 120mmX240mmX25mm and at maximum a massive 500mmX328mmX40mm! For further details see product description.